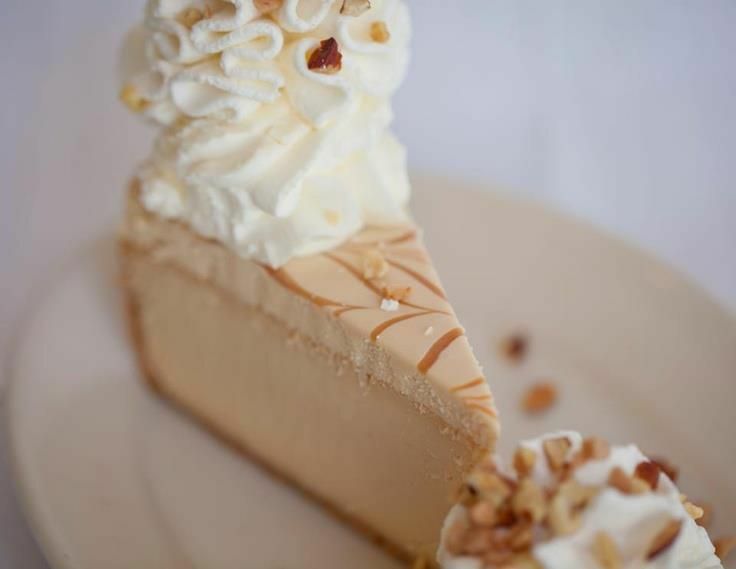 Have you ever been to The Cheesecake Factory? Well if you haven’t, you should really go. I just recently went and I loved it so much. The waiters there are really nice and the food comes really quickly. A really good thing about The Cheesecake Factory is that they have children desserts and they have american (and super good) food. The menu there is so good.When I went to The Cheesecake Factory I got french fries, macaroni and cheese and a dulce de leche cheesecake. All the food there was amazing. The currency there is really expensive. It’s usually around $40 for two people. I would rate this place 4 stars because I think it is a little loud there and because of the currency. You can make a reservation by calling them. There contact info is at the bottom. The food there was insanely good. The fries were salty and crunchy. The macaroni and cheese was hot and very scrumptious. And the cheesecake was the best dessert I have ever tasted. It was so delicious. It tasted like creamy dulce de leche cheese and the crust on it was not to crunchy and not too soft. Another thing about the Cheesecake Factory is that you can make reservations. If I could go to The Cheesecake Factory everyday, I definitely would. I hope you go to The Cheesecake Factory because it is the best place EVER! Here is some info you might want to know. Have you ever been to H&M to get clothes? I have and it’s awesome because the clothes there are just what I want. There is literally every type of clothes that you have ever heard of there. H&M has clothes for women, men, girls and boys. Lots of other stores that you could get clothes from only have clothes for grownups. And kids( like me) don’t really think it’s fun shopping for grownups clothes. H&M has lots of spring clothes, summer clothes, winter clothes and fall clothes. For example , one time it was winter time and my mom and me were shopping at H&M. We were looking for some winter clothes for me. Everywhere I looked there was something that I loved and was season appropriate. Another example is, it was summer time and my mom and me were going shopping for some dresses and shorts for me. We were also searching for shorts for my mom. Fifteen minutes later me and my mom were so happy. We had everything we needed for summer. Now maybe you’ll go to H&M. Have You Ever Been To Frankie & Fanuccis? If you’re looking for a restaurant that you can take your family to, Frankie & Fanuccis is the place to go. It has a fair price and it’s not to high or low. It’s a bit loud, but there is this new machine that you can get a card and you can taste all different kinds of wines by swiping the card that you got on the side of the machine. It is really clean there and if you like Italian food that’s the food that there is. Service is great and you don’t have to wait too long to get your food. The food there is great, amazing and magnificent. If you are planning to go there, you are extra smart.Here is the link to the menu!!!!!!!!!!!!!!! !